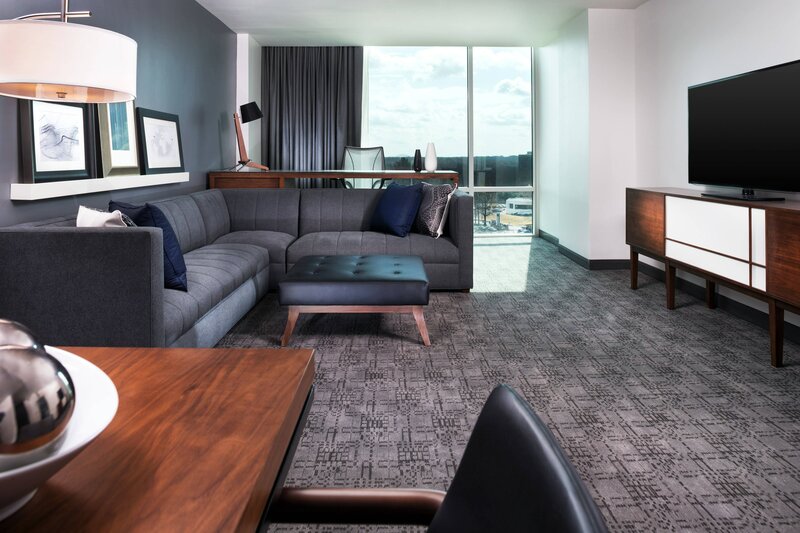 Adjacent to Perimeter Mall, Le Méridien Atlanta Perimeter is set in the heart of Dunwoody, minutes from downtown Atlanta via car or MARTA. The surrounding area is a contemporary juxtaposition of business, shopping, dining, sports and entertainment. The spacious, well-lit foyer exemplifies the stylish clean lines throughout the hotel. 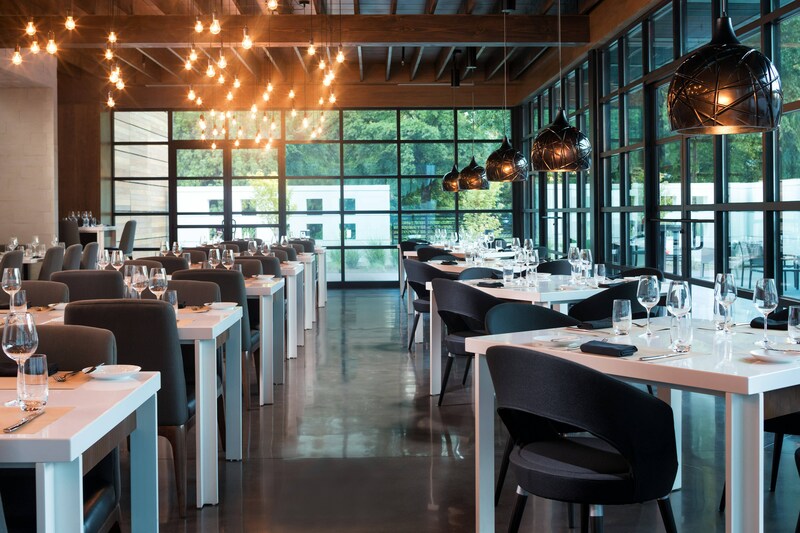 The gym and pool help guests unwind, world-class cuisine is served at our inviting restaurant and our event space accommodates transformative experiences. 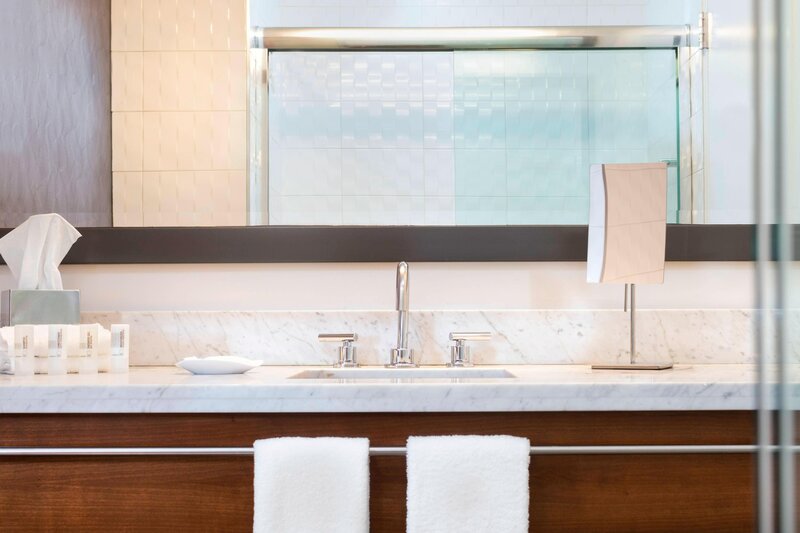 Our 275 over-sized guest rooms and suites feature bold blue and white decor with natural wood accents. 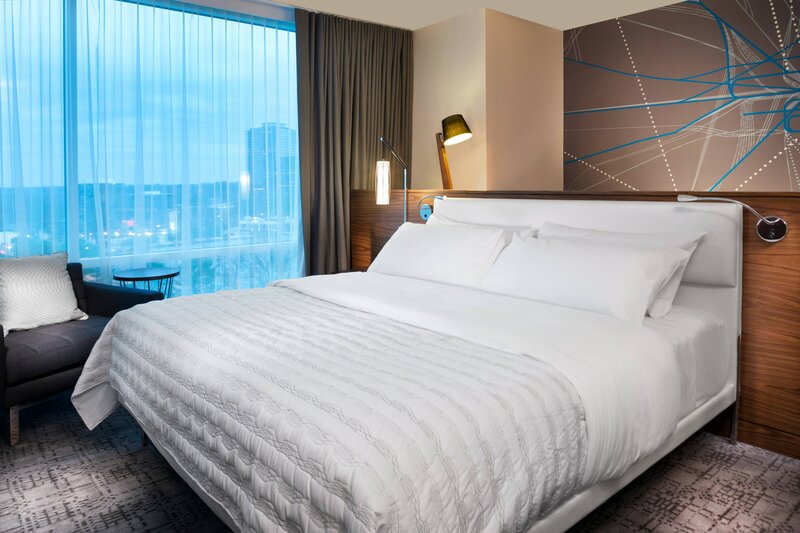 All rooms offer wireless high speed internet access to keep you connected to home and the office. Some rooms have two king-size beds for your convenience. Discover Atlanta in style, savour the moment and enjoy experiences that offer something more than meets the eye. 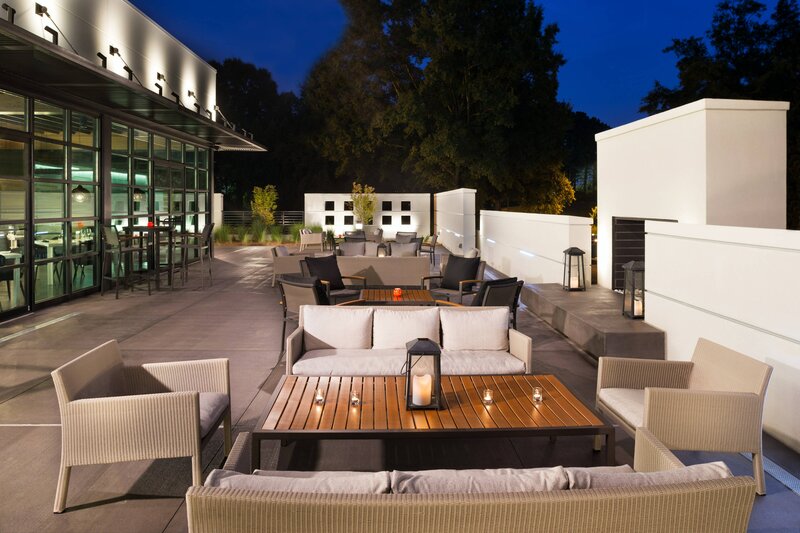 Surrounded by lush greenery and mature dogwood trees, our hotel is an elevated escape located next to Perimeter Mall, surrounding restaurants and businesses of the bustling Atlanta Perimeter Area. Immaculately furnished rooms and suites provide an oasis of calm for your visit. Every room features king sized beds whether it’s a single, double, or a suite. 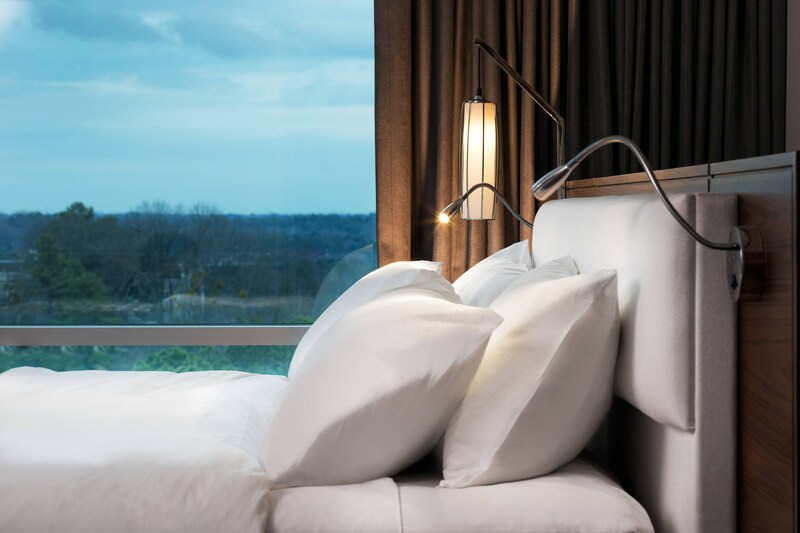 Plus, savour premium perks including Illy coffee and signature, Malin & Goetz bath amenities. Chic 800 Sq.ft., separate living room, Club lounge access. Le Méridien Platform Bed, bathrobe. Chic, spacious 825 sq.ft. suite. Separate living room. Le Méridien Platform Bed, 46" and 55" LCD TVs, bathrobe in room. Transcending the traditional lobby experience, The Hub offers an array of opportunities for guests to gather, connect and simply savour the moment. Our welcoming restaurant showcases an extraordinary and creative menu composed of fresh and seasonal products that introduces a contemporary twist on worldwide favorites. 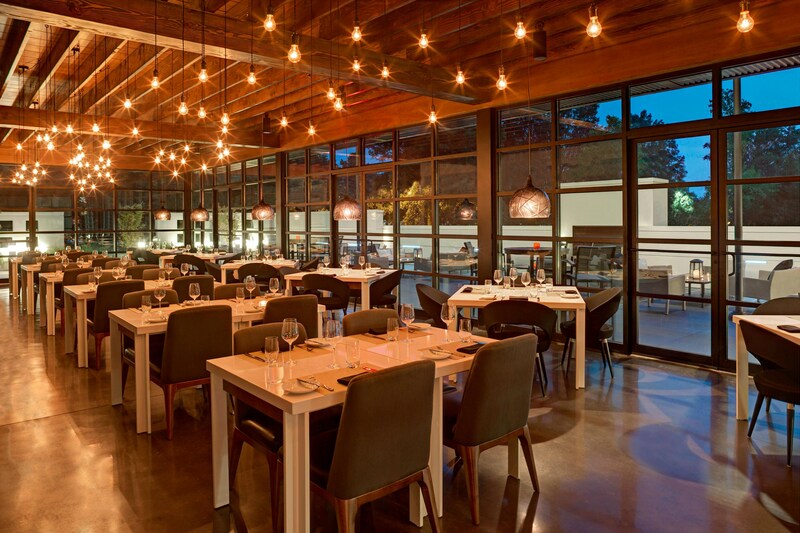 It’s a wonderful spot for a relaxed meal after a day connecting over business or discovering something new in Atlanta. Relying on the freshest seasonal ingredients, Portico’s kitchen is committed to utilizing the highest quality products sourced from farms and artisanal producers both locally and abroad. 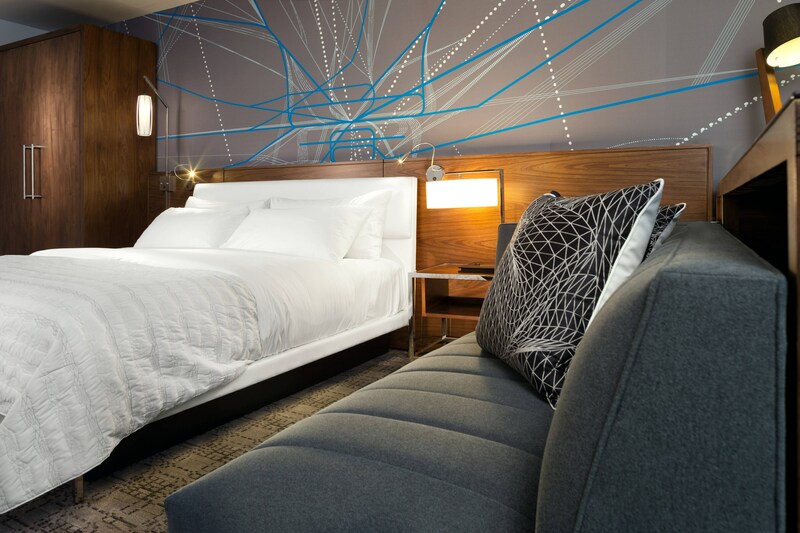 When it comes to a great meeting of the minds, Le Méridien Atlanta Perimeter has everything you need. Discover creative meetings and unlock innovation. We treat each meeting as an opportunity to inspire people to do great work.